Emily Sinclair is settling into her role as district attorney and she's ready to find a love interest to share in her success. Cade Kelly captivates her from the moment they meet, but she discovers that despite their undeniable attraction, Cade will challenge her at every turn. What will happen when Emily learns Cade isn't who she thought she was, and worse, when they wind up on opposite sides in Emily's first big case? 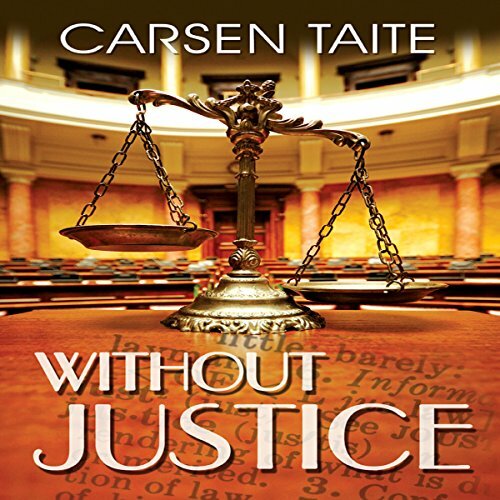 One of the Amazon reviews stated that Carson Taite never disappoints; if only. There are so many instances of totally unprofessional behavior, of supposedly well trained professionals showing about as much competence as hall monitors in middle school; not to mention the witness protection program. They let her keep the name Cade, even though after surviving an attack in which two federal agents and one witness against the Outfit (the Chicago mob) are killed the name Cade would be all anyone would need in order to find her with a Google search. That along with Cade constantly making herself an easy target one day then being terrified the next doesn't hang together well at all. This is the worst of the authors 4 books available on Audible, my recommendation is to let this one pass. another Carsen Taite winner! this author just keeps getting better with every book. Great narrator too.